I should say I wasn’t as ecstatic as I imagined I would feel after this feat. The biriyani was no where near what I’d imagined: It was downright pathetic! 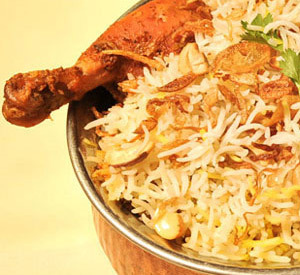 And it’s not just me – I had my biriyani connoisseur friend with me, and he too didn’t like it. Maybe we expected too much, or maybe my planets weren’t aligned – I don’t know what, but I wished my dream remained a dream, ‘cos the anticipation of tasting the king of biriyanis was much better than actually tasting it.